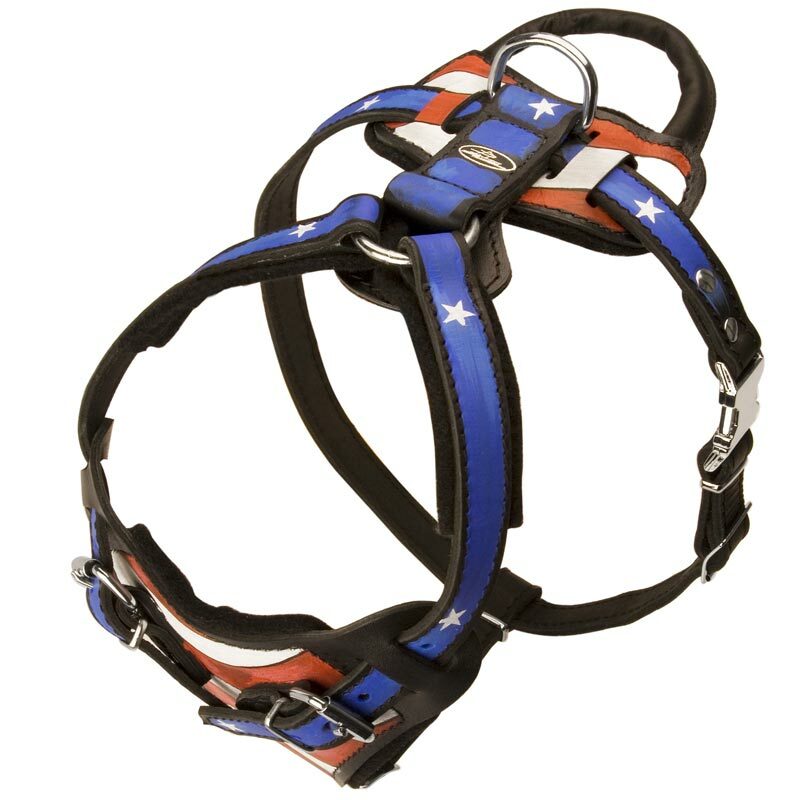 This Dog Harness is made of full grain genuine leather which is extra strong, flexible and soft to touch. It is safe for your Rottweiler’s health and doesn’t provoke allergies and skin rubbing. 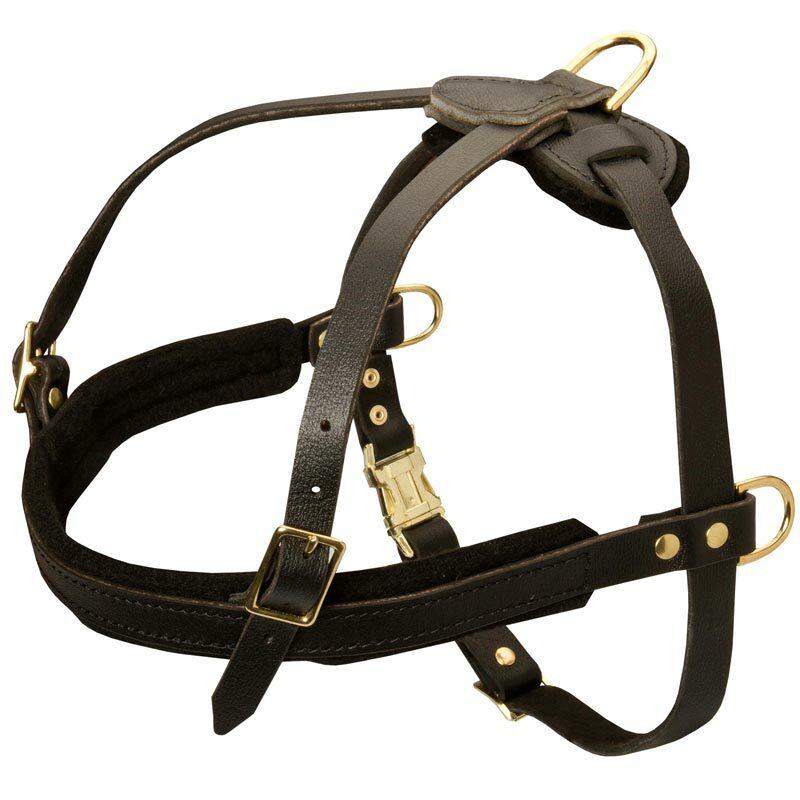 Thanks to its design this dog item is very comfortable for wearing. All the hardware is made of nickel plated steel. 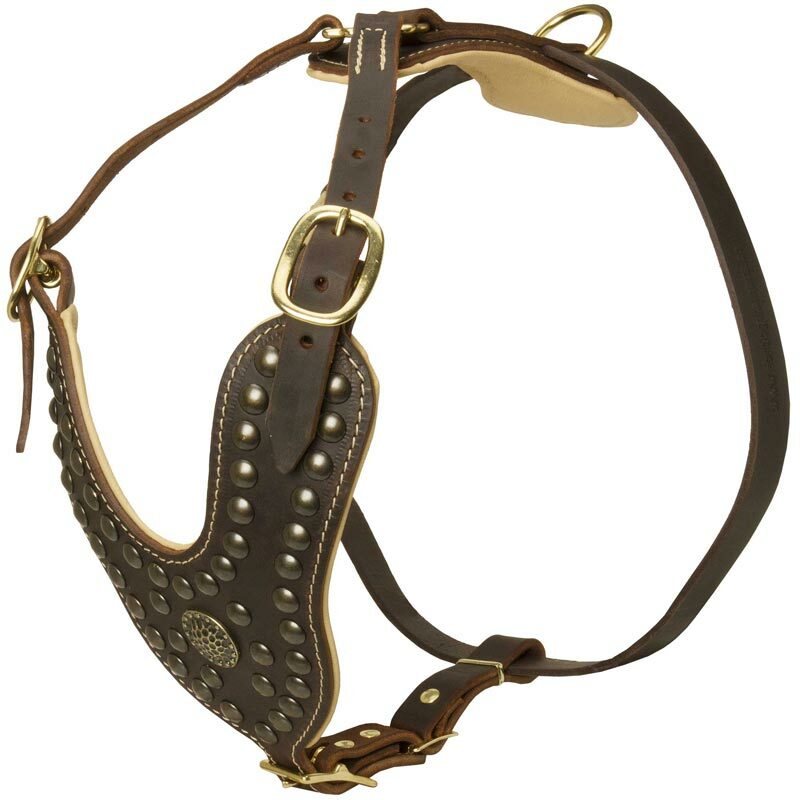 It is rust and corrosion resistant and has brilliant silver-like shine. 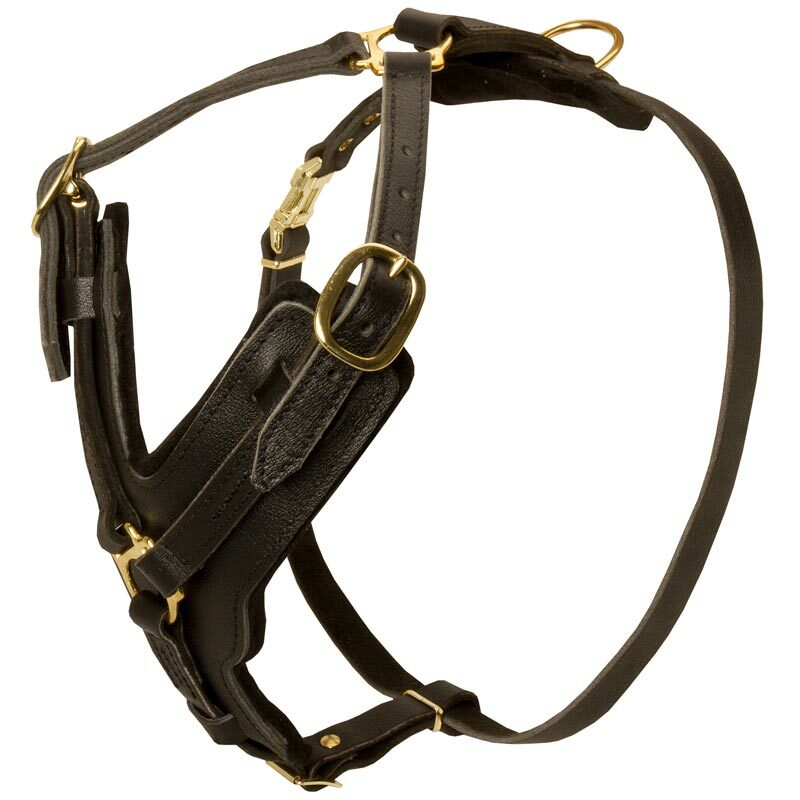 This Rottweiler Harness is incredibly stylish as it is decorated with water-resistant paint. 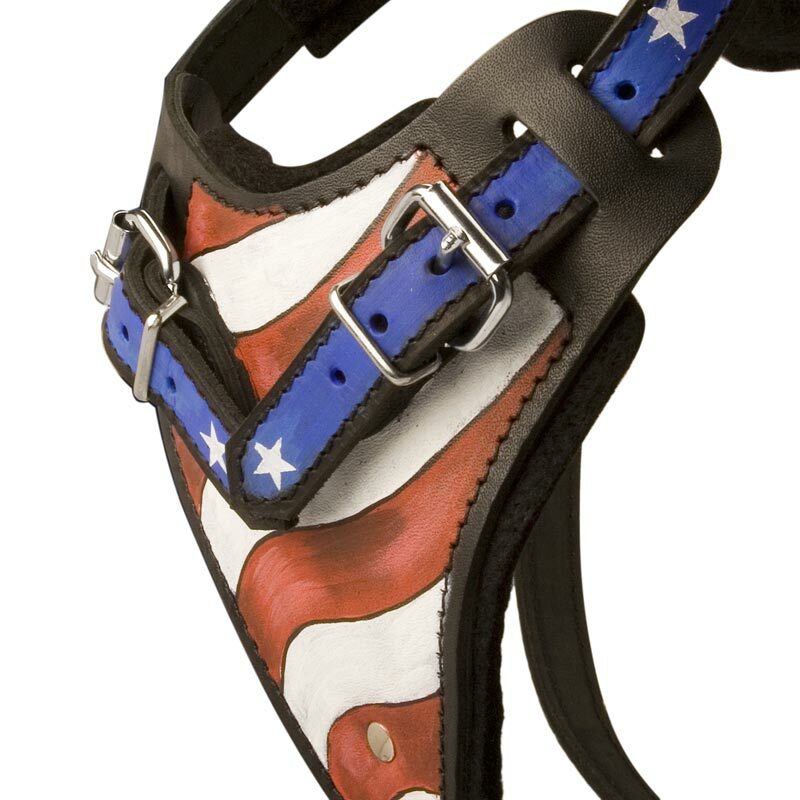 It has been designed specially for those customers who appreciate American symbols.